Ragib Hasan, Rasib Khan, Shams Zawoad, Md Haque, “WORAL: A Witness Oriented Secure Location Provenance Framework for Mobile Devices”, IEEE Transactions on Emerging Topics in Computing (TETC) SI on Cyber Security, vol. 4, no. 1, pp. 128-141, 2016. [pdf]. Rasib Khan, Md Munirul Haque, and Ragib Hasan, “Towards Supply Chain Information Integrity Preservation”, The Journal of Defense Software Engineering (CrossTalk), pp. 4-10, Sep-Oct 2015. Shams Zawoad, Ragib Hasan, Gary Warner, Md Munirul Haque “Towards a Cloud-based Approach for SPAM URL Deduplication for Big Datasets “, International Journal of Cloud Computing (IJCC), 2(3), 2014, pp. 1-14. Shahid Noor, Ragib Hasan, Md. Munirul Haque, “CellCloud: Towards A Cost Effective Formation of Mobile Cloud Based on Bidding Incentives“, Accepted for publication at the International Journal of Cloud Computing (IJCC), 2015. Rasib Khan, Mainul Mizan, Ragib Hasan, Alan Sprague: “Hot Zone Identification: Analyzing Effects of Data Sampling on Spam Clustering”, Journal of Digital Forensics, Security and Law (JDFSL), 9(1): 67-82 (2014). Md Haque, Ferdaus Kawsar, Md Adibuzzaman, Sheikh Iqbal Ahamed, Md Uddin, Richard Love, Ragib Hasan, Rumana Dowla, Tahmina Ferdousy, and Reza Salim, “e-ESAS: Evolution of a Participatory Design based Solution for Breast Cancer (BC) Patients in Rural Bangladesh”, Springer Journal of Personal and Ubiquitous Computing, Volume 19, Issue 2, pp 395-413, February 2015. Shams Zawoad, Marjan Mernik, and Ragib Hasan. “Towards Building A Forensics Aware Language For Secure Logging“, Computer Science and Information Systems, Volume 11, Issue 4, Pages: 1291-1314, 2014. Kazi Zunnurhain, Susan Vrbsky, and Ragib Hasan, “FAPA: Flooding Attack Protection Architecture in a Cloud System”, International Journal of Cloud Computing, Vol 3, No. 4, ppp. 379-401, Inderscience, 2014. Athol J. Kemball, Richard M. Crutcher, and Ragib Hasan, “A component-based framework for radio-astronomical imaging software systems”,Software: Practice and Experience (SP&E), John Wiley & Sons, Ltd, June 2007. Shams Zawoad and Ragib Hasan, “Cloud Forensics” in “Encyclopedia of Cloud Computing “, WILEY, 2014.
in “Advances in data processing techniques in the era of Big Data“, CRC Press, 2013. Jayun Patel and Ragib Hasan, “Smart Bracelets: Towards Automating Personal Safety using Wearable Smart Jewelry”, in Proceedings of the 15th Annual IEEE Consumer Communications & Networking Conference (CCNC), Las Vegas, USA, January 2018. Mahmud Hossain, Ragib Hasan, and Anthony Skjellum, “Securing the Internet of Things: A Meta-Study of Challenges, Approaches, and Open Problems”, IEEE International Workshop on the Internet of Things Computing and Applications (IoTCA), Atlanta, GA, USA, 2017. Mahmud Hossain and Ragib Hasan, “Boot-IoT: A Privacy-Aware Authentication Scheme for Secure Bootstrapping of IoT Nodes”, in Proceedings of the 2nd IEEE International Congress on Internet of Things (ICIoT), Honolulu, Hawaii, 2017. Mahmud Hossain, Ragib Hasan, and Shams Zawoad, ”Trust-IoV: A Trustworthy Forensic Investigation Framework for the Internet of Vehicles (IoV)”, in Proceedings of the 2nd IEEE International Congress on Internet of Things (ICIoT), Honolulu, Hawaii, 2017. Md. Mahmud Hossain, Shahid Al Noor, and Ragib Hasan, “HSC-IoT: A Hardware and Software Co- Verification based Authentication Scheme for Internet of Things”, in Proceedings of the 5th IEEE International Conference on Mobile Cloud Computing, Services, and Engineering (IEEE Mobile Cloud), San Francisco, CA, April 2017. Shahid Al Noor and Ragib Hasan, “ROSAC: A Round-Wise Fair Scheduling Approach for Mobile Cloud Based on Task Asymptotic Complexity’‘, in Proceedings of the 5th IEEE International Conference on Mobile Cloud Computing, Services, and Engineering (IEEE Mobile Cloud), San Francisco, CA, April 2017. Rasib Khan and Ragib Hasan, “DExaS: Delegated Experience as a Service for Mobile and Wearable Devices’‘, In Proceedings of the 14th Annual IEEE Consumer Communications \& Networking Conference (CCNC), Las Vegas, USA, January 2017. Maya Guru, Ragib Hasan, and Rasib Khan, “Towards Non-intrusive Continuous Healthcare Monitoring with the Smart Hospital Gown”, In Proceedings of the 14th Annual IEEE Consumer Communications & Networking Conference (CCNC), Las Vegas, USA, January 2017. Rasib Khan and Ragib Hasan, “DExaS: Delegated Experience as a Service for Mobile and Wearable Devices”, In Proceedings of the 14th Annual IEEE Consumer Communications & Networking Conference (CCNC), Las Vegas, USA, January 2017. Mahmud Hossain, Shahid Noor, Dibya Mukhapadhay, Ragib Hasan, and Lei Li, “CACROS: A Context Aware Cloud Content Roaming Service”, In Proceedings of the IEEE International Conference on Smart Cloud (SmartCloud 2016) November 18th-20th, 2016, New York, USA. Ragib Hasan, Shams Zawoad, and Md. Munirul Haque, “StuxMob: A Situational-Aware Malware for Targeted Attack on Smart Mobile Devices”, In Proceedings of the 35th IEEE international Conference for Military Communications (IEEE MILCOM), Baltimore, MD, November 2016. Shahid Noor, Mahmud Hossain, and Ragib Hasan, “SASCloud: Ad hoc Cloud as Secure Storage”, In Proceedings of the 6th IEEE International Conference on Big Data and Cloud Computing (BDCloud), Atlanta, GA, October 2016. Mohammad Kamrul Islam and Ragib Hasan, “Verifiable Data Redundancy in The cloud”, In Proceedings of the 6th IEEE International Conference on Big Data and Cloud Computing (BDCloud), Atlanta, GA, October 2016. Lei Li, Kai Qian, and Ragib Hasan, “The Art of War: Developing Role-based Hands-on Labware for Emerging Database Security”, in Proceedings of SIGITE/RIIT, September 2016. Shahid Al Noor, Rasib Khan, Md. Mahmud Hossain,and Ragib Hasan, “Litigo: A Cost-Driven Model for Opaque Cloud Services”, In Proceedings of the 9th IEEE International Conference on Cloud Computing (IEEE CLOUD), San Francisco, CA, July 2016. (Acceptance Rate 15%). Md. Mahmud Hossain, Rasib Khan, Shahid Al Noor, and Ragib Hasan, “Jugo: A Generic Architecture for Composite Cloud as a Service”, In Proceedings of the 9th IEEE International Conference on Cloud Computing (IEEE CLOUD), San Francisco, CA, July 2016. (Acceptance Rate 15%). Shams Zawoad and Ragib Hasan, “SECAP: Towards Securing Application Provenance in the Cloud”, In Proceedings of the 9th IEEE International Conference on Cloud Computing (IEEE CLOUD), San Francisco, CA, July 2016. (Acceptance Rate 15%). Shahid Noor and Ragib Hasan, “D-CLOC: A Delay Tolerant Cloud Formation Using Context-Aware Mobile Crowdsourcing”, In Proceedings of the 7th IEEE International Conference on Cloud Computing Technology and Science, Vancouver, Canada, November 2015. (Acceptance rate 48/189=25.4%). Shams Zawoad and Ragib Hasan, “Digital Forensics in the Age of Big Data: Challenges, Approaches, and Opportunities”, In Proceedings of the IEEE International Symposium on Big Data Security on Cloud (BigDataSecurity 2015), New York, August 2015. Shams Zawoad and Ragib Hasan, “FAIoT : Towards Building a Forensics Aware Eco System for the Internet of Thing“, In Proceedings of the 12th IEEE International Conference on Services Computing (SCC), New York, USA, June 2015. Md. 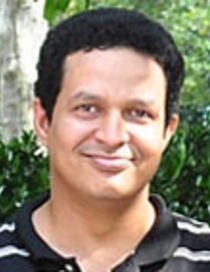 Mahmud Hossain, Maziar Fotouhi, and Ragib Hasan, “Towards an Analysis of Security Issues, Challenges, and Open Problems in the Internet of Things“,In Proceedings of the IEEE Services Visionary Track on Internet of Things, New York, USA, June 2015. Niju Shrestha, Rajan Kharel, Jason Britt, Ragib Hasan, “High-performance Classification of Phishing URLs Using a Multi-modal Approach with MapReduce”, In Proceedings of the IEEE Services Visionary Track on Security and Privacy Engineering (SPE2015), New York, USA, June 2015. Shams Zawoad, Ragib Hasan, Anthony Skjellum, “OCF: An Open Cloud Forensics Model for Reliable Digital Forensics”,In Proceedings of the 8th IEEE International Conference on Cloud Computing, New York, USA, June 2015 (Acceptance rate: 14%). Rasib Khan, Ragib Hasan, “MIDEP: Multiparty Identity Establishment Protocol for Decentralized Collaborative Services”,In Proceedings of the 12th IEEE International Conference on Services Computing (SCC), New York, USA, June 2015. Rasib Khan and Ragib Hasan, “Fuzzy Authentication using Interaction Provenance in Service Oriented Computing’‘, In Proceedings of the 12th IEEE International Conference on Services Computing, New York, June 2015. Shams Zawoad, Ragib Hasan, and John Grimes, “LINCS: Towards Building a Trustworthy Litigation Hold Enabled Cloud Storage System“, In Proceedings of the 15th Annual DFRWS Digital Forensics Conference, Philadelphia, PA, August, 2015. Rasib Khan, Ragib Hasan, and Jinfang Xu, “SEPIA: Secure-PIN-Authentication-as-a-Service for ATM using Mobile and Wearable Devices”, In Proceedings of the 3rd International Conference on Mobile Cloud Computing, Services, and Engineering, San Francisco (IEEE Mobile Cloud), March 2015. Ragib Hasan, Md. Mahmud Hossain, Rasib Khan, “Aura: An IoT based Cloud Infrastructure for Localized Mobile Computation Outsourcing”, short paper In Proceedings of the 3rd International Conference on Mobile Cloud Computing, Services, and Engineering, San Francisco (IEEE Mobile Cloud), March 2015. Shams Zawoad and Ragib Hasan, “Towards a Systematic Analysis of Challenges and Issues in Secure Mobile Cloud Forensics”, In Proceedings of the 3rd International Conference on Mobile Cloud Computing, Services, and Engineering, San Francisco (IEEE Mobile Cloud), March 2015. Shams Zawoad, Ragib Hasan, Gary Warner, and Anthony Skjellum, “UDaaS: A Cloud-based URL-Deduplication-as-a-Service for Big Datasets“, in Proceedings of the 4th IEEE International Conference on Big Data and Cloud Computing (BDCloud 2014), Sydney, Australia, December 2014. Suraj Maharjan, Prasha Shrestha, Thamar Solorio, and Ragib Hasan, “A Straightforward Author Profiling Approach in MapReduce“, In Proceedings of the 14th edition of the Ibero-American Conference on Artificial Intelligence, Santiago, Chile, November, 2014. Khalid Bijon, Md Munirul Haque, and Ragib Hasan, “A TRUst based Information Sharing Model (TRUISM) in MANET in the Presence of Uncertainty“, In Proceedings of the 12th International Conference on Privacy, Security and Trust (PST), Toronto, Canada, July 2014. Rasib Khan, Shams Zawoad, Md Munirul Haque, and Ragib Hasan, “Who, When, and Where? Location Proof Assertion for Mobile Devices“, In Proceedings of the 28th Annual IFIP WG 11.3 Working Conference on Data and Applications Security and Privacy (DBSEC), Vienna, Austria, July 14-16, 2014. Rasib H Khan and Ragib Hasan, “SecP2PSIP: A Distributed Overlay Architecture for Secure P2PSIP“, In Proceedings of the The Third ASE International Conference on Cyber Security (CyberSecurity), Stanford, CA, 2014. Md Munirul Haque, Sheikh Iqbal Ahamed, Ferdaus Kawsar, Md Adibuzzaman, Md Miftah Uddin, Richard Love, Ragib Hasan, Rumana Dowla, and Reza Salim, “Barriers for Breast Cancer (BC) Patients in Rural Bangladesh: Design and Deployment of a Mobile based Solution”, In Proceedings of the 20th Americas Conference on Information Systems (AMCIS 2014), August 7 – 10, 2014, Savannah, Georgia. Abu Awal Md Shoeb, Ragib Hasan, Md. Haque, and Meng Hu, ”A Comparative Study on I/O Performance between Compute and Storage Optimized Instances of Amazon EC2“. In Proceedings of the 7th IEEE International Conference on Cloud Computing (IEEE Cloud), Work in Progress Track, June 27 – July 2, 2014, Alaska, USA. Shams Zawoad, Md. Haque, and Ragib Hasan, “CURLA: Cloud-Based Spam URL Analyzer for Very Large Datasets“, In Proceedings of the 7th IEEE International Conference on Cloud Computing June 27 – July 2, 2014, Alaska, USA. (Acceptance Rate 20%). Shahid Noor, Md. Haque, and Ragib Hasan, “CellCloud: A Novel Cost Effective Formation of Mobile Cloud Based on Bidding Incentives“, In Proceedings of the 7th IEEE International Conference on Cloud Computing June 27 – July 2, 2014, Alaska, USA. (Acceptance Rate 20%). Rasib Khan, Shams Zawoad, Md. Haque, and Ragib Hasan, “OTIT: Towards Secure Provenance Modeling for Location Proofs“, in Proceedings of the 9th ACM Symposium on Information, Computer and Communications Security (ASIACCS), Kyoto, Japan, June 2014. Thamar Solorio, Ragib Hasan, and Mainul Mizan, “Sockpuppet Detection in Wikipedia: A Corpus of Real-World Deceptive Writing for Linking Identities”, In Proceedings of the 9th International Conference on Language Resources and Evaluation (LREC), Reykjavik, Iceland, May 2014. Shams Zawoad, Amit Dutta, Alan Sprague, Ragib Hasan and Jason Britt, “Phish-Net: Investigating Phish Clusters Using Drop Email Addresses”, In Proceedings of the 2013 APWG eCrime Researchers Summit, San Francisco, CA, September 17-18, 2013. Rasib Khan, Md Munirul Haque, and Ragib Hasan, “A Secure Location Proof Generation Scheme for Supply Chain Integrity Preservation”, In Proceedings of IEEE International Conference on Technologies for Homeland Security, Waltham, MA, November, 2013. Md Munirul Haque, Shams Zawoad, and Ragib Hasan, “Secure Techniques and Methods for Authenticating Visually Impaired Mobile Phone Users”, In the Proceedings of IEEE International Conference on Technologies for Homeland Security, Waltham, MA, November, 2013. Amit K. Dutta and Ragib Hasan, “How Much Does Storage Really Cost? Towards a Full Cost Accounting Model for Data Storage“, In Proceedings of the 10th International Conference on Economics of Grids, Clouds, Systems, and Services (GECON), Spain, September, 2013. Ragib Hasan and Randal Burns, “The Life and Death of Unwanted Bits: Towards Proactive Waste Data Management in Digital Ecosystems“, In Proceedings of the 3rd International Conference on Innovative Computing Technology (INTECH), London, August 2013. Shams Zawoad, Marjan Mernik , and Ragib Hasan “FAL: A Forensics Aware Language for Secure Logging”, In Proceedings of the 4th Workshop on Advances in Programming Languages (WAPL), 2013. Mainul Mizan, Md Lutfor Rahman, Rasib Khan, Munirul Haque, and Ragib Hasan “Accountable Proof of Ownership for Data using Timing Element in Cloud Services”, In Proceedings of the International Symposium on Cloud Computing and Services for High Performance Computing Systems (InterCloud-HPC 2013). Thamar Solorio, Ragib Hasan, and Mainul Mizan “A Case Study of Sockpuppet Detection in Wikipedia”, In Proceedings of the NAACL/HLT Workshop on Language Analysis in Social Media (LASM 2013). Ragib Hasan, Radu Sion, and Marianne Winslett, “Requirements of Secure Storage Systems for Health-care Records“, In Proceedings of the 4th VLDB Workshop on Secure Data Management (SDM), in conjunction with 33rdInternational Conference on Very Large Data Bases (VLDB), University of Vienna, Austria, September 2007. William Yurcik, Ragib Hasan, “Toward One Strong National Breach Disclosure Law – Justification and Requirements” , In Proceedings of the Workshop on the Economics of Securing the Information Infrastructure, October 23-24, 2006. Ragib Hasan and William Yurcik, “A Statistical Analysis of Disclosed Storage Security Breaches“, In Proceedings of the International Workshop on Storage Security and Survivability (StorageSS) in conjunction with 12th ACM Conference on Computer and Communications Security (CCS 2006) , October, 2006. Ragib Hasan, Marianne Winslett, “Synergy: A Trust-aware, Policy-driven Information Dissemination Framework”, In Proceedings of the IEEE International Conference on Intelligence and Security Informatics (ISI 2006), San Diego, USA, May 23-24, 2006. Ragib Hasan, Suvda Myagmar, Adam J. Lee, and William Yurcik, “Toward a Threat Model for Storage Systems “, In Proceedings of the International Workshop on Storage Security and Survivability (StorageSS) in conjunction with 12th ACM Conference on Computer and Communications Security (CCS 2005) , November 11, 2005 . Ragib Hasan, William Yurcik, and Suvda Myagmar, “The Evolution of Storage Service Providers: Techniques and Challenges to Outsourcing Storage“, In Proceedings of the International Workshop on Storage Security and Survivability (StorageSS) in conjunction with 12th ACM Conference on Computer and Communications Security (CCS 2005), November 11, 2005. Ragib Hasan, Zahid Anwar, William Yurcik, Roy Campbell, “A Survey of Peer-to-Peer Storage Techniques for Distributed File Systems“, In Proceedings of the IEEE International Conference on Information Technology (ITCC), Las Vegas, NV, April 2005. Joseph Tucek, Paul Stanton, Elizabeth Haubert, Ragib Hasan, Larry Brumbaugh, and William Yurcik “Trade-offs in Protecting Storage: A Meta-Data Comparison of Cryptographic, Backup/Versioning, Immutable/Tamper-Proof, and Redundant Storage Solutions”, In Proceedings of the 22nd IEEE – 13th NASA Goddard Conference on Mass Storage Systems and Technologies (MSST) , Monterey CA USA, April 2005. Ragib Hasan, Joseph Tucek, Paul Stanton, William Yurcik, Larry Brumbaugh, Jeff Rosendale, and Roelof Boonstra,“The Techniques and Challenges of Immutable Storage for Applications in Multimedia”, In Proceedings of theIS&T/SPIE International Symposium Electronic Imaging / Storage and Retrieval Methods and Applications for Multimedia (EI121) , San Jose CA USA, January 2005. Interaction Provenance Model for Unified Authentication Factors in Service Oriented Computing, Fourth ACM Conference on Data and Application Security and Privacy (CODASPY), March 2014. IEEE Symposium on Security & Privacy, May, 2013 .